'Review Copy' Details of KDROI v1!" Click the link below to be taken to JVZoo, where you can request approval for your affiliate link for the whole funnel. Then see affiliate tools below. Grab Your JVZoo Affiliate Link HERE! To presell the offer effectively, I recommend you check it out. You're enthusiasm will shine through in your promotion and increase your sales. Grab A KDROI Review Copy HERE! If you don't want to follow the sequence above, then you can use either of the two standalone emails below as copy and paste swipe emails for your list. Please ensure you update all affiliate links and your own name. SUBJECT: How do you promote your Kindle eBooks? 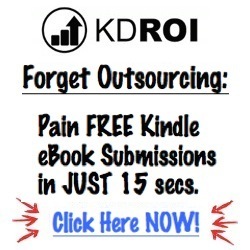 Maybe you have freelancer’s that promote your Kindle eBooks? Whatever you use, there’s no denying that managing outsourcers can be a PAIN. And pretty costly when marketing each of your Kindle eBooks. I’ve just reviewed a new software from the creator of KDSPY. Just like KDSPY, it’s a very simple to use Chrome or Firefox extension. 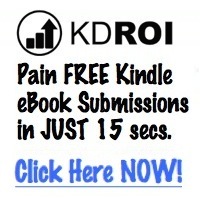 It makes it “super simple” to submit your Kindle books FREE KDP days to a bunch of sites. 2. Click on the link in your KDP to view your book on the Kindle Store. 3. Click on KDROI & enter your email address. 4. Select the sites you want to submit to. (21 sites so far & growing). This however, is JUST v1. Wesley, the creator of KDSPY, is relentless with updates. You’ll know that’s true if you use KDSPY. And I have word from the creator that’s he’s in the process of adding Permafree, 0.99c and KU submissions. Not to mention, Facebook group & Twitter handle submissions. 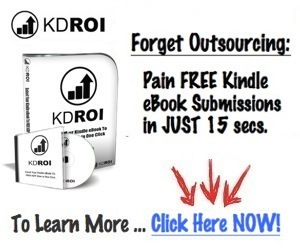 So, with KDROI, you can forget outsourcing your promotions on Fiverr. Do it yourself, in JUST 15 seconds and a handful of clicks. Saving yourself a fortune in the process ... with just a small ONE TIME fee for the software. That’s right -- NO annual fee or “per submission” cost. Submit thousands of books and don’t pay an extra cent. That’s excellent value in my book. Only you can decide if it’s worth it for your business. Did you ever read (or watch) “The Color Purple” by Alice Walker? This is the story of Celie, who faces unimaginable abuse in her life, much of it at the hands of her husband. However, Celie develops a friendship with a woman named Shrug. And together, Shrug helps Celie rebel against her abusive husband as well as social and cultural norms. There’s a good chance that Celie may have never gotten up the courage to do this on her own. But two are more powerful than one. And with Shrug’s help, she escaped her husband. So you may not be facing such a grave situation in your life, but that doesn’t mean you can’t use a little help from your friends. Just like you I'm a self published author. I use tools and software apps to make my life easier. Dealing with a bunch of outsourcers can be a pain in the neck. I wanted to remove that burden from my Kindle business. And with technology, I like to automate things so I can do them for less money, and FAAAR quicker MYSELF. And then when I find something suitable, share them with my friends. Well, I’ve found a new software tool that I think will be invaluable to your business. It’s automates some of the marketing tasks in promoting Kindle books. 2. Click on the link in your KDP account to view your book on the Kindle Store. The software is in BETA right now, which means it’s going to get A LOT better, too. And if you’re a previous customer of KDSPY, you know how seriously; Wesley, the creator, takes feedback and relentlessly releases updates to his software. Next up for KDROI, will be Permafree submissions. Get in early and enjoy lifetime updates & 60% off as this thing improves. 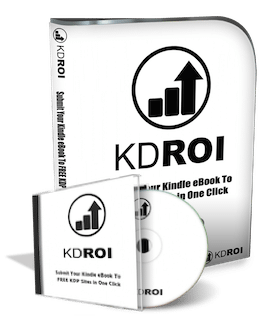 KDROI is not affiliated with Amazon or any of it’s subsidiaries.